Islamabad, Federal Board of Intermediate and Secondary Education Islamabad is making preparations for Federal Board Intermediate class part II annual exams 2019 during the month of April 2019. 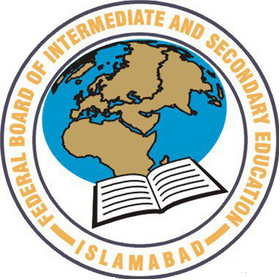 Federal Board Inter-II date sheet 2019 has been issued to the students on their home addresses and they will also find Islamabad Board FA/FSc-II datesheet 2019 online with all relevant details. The students are asked to note the date and time of their papers, which you can watch in FBISE HSSC-II schedule 2019. The timetable of the exams will show that the papers will be held in the morning and evening shifts. The students will ensure receipt of their roll no slips and also check placement of their exams centers. You Can Download Inter Date Sheet Here.